Happy New Year from Iowa Baja! 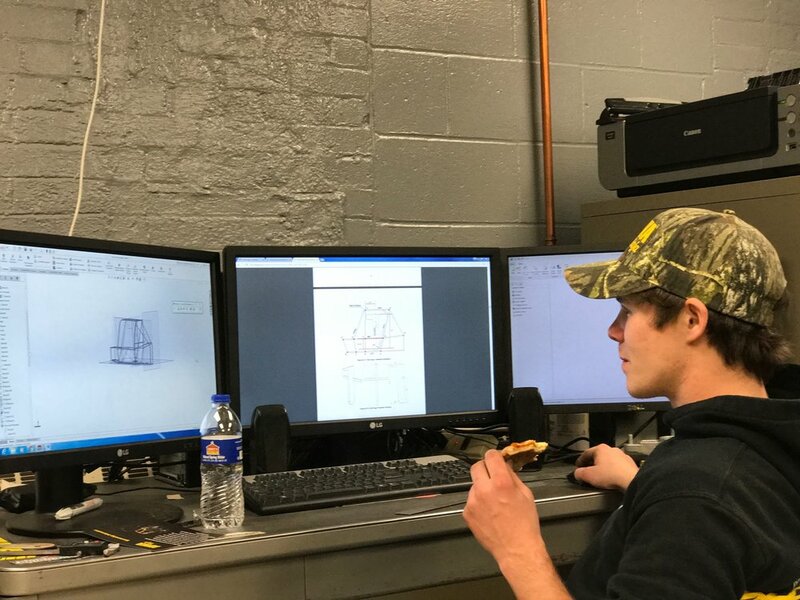 While the rest of the University spent the holiday season with their families, the Baja team was hard at work in the laboratory beginning to fabricate the frame for the upcoming National Competition Vehicle. Designing a new frame for the national competition is not an easy task. Countless hours of computer testing, as well as an in-depth knowledge of the rules set forth by the Society of Automotive Engineers, are required to ensure a successful design. Within the 115-page guideline of rules, members must take into account items ranging from the type of material to the specific bend angles of specific “Named Points,” which when fabricated correctly ensure the design will be safe for the driver. Particular requirements also have to be taken into account, such as the ability for the frame to fit various sizes of drivers. Members first began to cut the frame material into individual sections based on the design. Then, the cut pieces were bent to achieve the defined angles of the approved plan. With a limited amount of frame material, each cut and bend must be made as perfect possible to ensure not only an accurately designed frame but to ensure the safety of the driver. Once the individual pieces were cut and bent to their appropriate specifications, members then began to weld each of the sections together. The welds are an essential part of the assembly of the frame, as they must be strong enough to not only hold the pieces together but withstand the stresses applied to the frame during competition and use. The integrity of each weld is taken very seriously by competition officials. Before vehicles are allowed to compete, sample pieces are tested as proof of the quality of the welding. Finally, after the parts are welded together and have time to cool, the designed is verified and checked by the team to ensure the approved design was accurately fabricated. If it passes their inspections, the frame can be considered complete, moving the car to its next stage.